Music, music, and MORE MUSIC!!! Dana Point and San Clemente these next two weekends! Posted by Teresa Mihelic HelpDesk on Monday, August 6th, 2012 at 10:38am. For all of you folks out there looking for MUSIC and concerts of any kind, you might need to head down to Dana Point or San Clemente these next two weekends. Why? San Clemente is having their annual 'Fiesta Street Festival'. In addition to the multiple activities that include food and game booths sponsored by local nonprofit organizations, three stages with continuous live music throughout the day, contests for all ages, a Salsa Challenge, arts & crafts show, Members Only Business Exposition, kiddie rides, a classic car & motorcycle show, exhibits, clowns, jugglers, face painters and much more. Dana Point is having it's summer series of Concerts at the Park - a free series of concerts during the summer, and this Sunday August 12th, starting at 3:00pm with an opening band, then the main one at 4:30pm until 6:00pm: Boogie Nights - 70's Disco. Bring your lawn chairs (low back) and blankets and enjoy listening and dancing to a variety of great music this summer. AND !!! LAST but not LEAST - for all of those surf and music enthusiasts!! 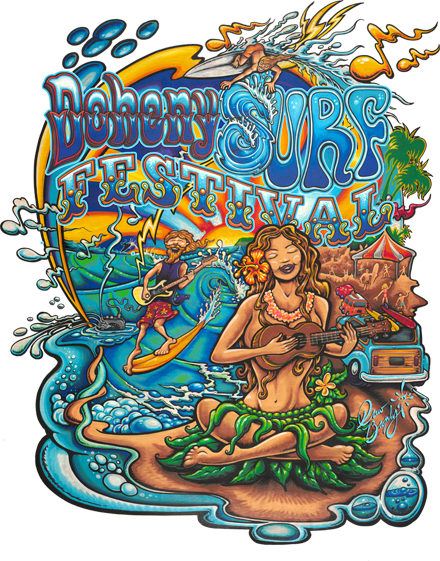 The Doheny Surf Festival will happen this weekend at Doheny Beach. August 11th and 12th, from 10:00am to 9:00pm both days. This a festival that shouldn't be missed, doesn't get better than this: music, all things surf: exhibits, surf demonstrations, environmental education, surf star autograph signings, tandem, outrigger & SUP exhibitions for all ages! The best part of this festival is that all moneys raised, go towards projects on State Parks. What a great way to help while having fun! These are the many events happening in these two gorgeous beach cities. Are you ready to move here? Check out the current San Clemente Real Estate and Dana Point Real Estate offered for sale, including homes, condos, foreclosures, short sales, luxury homes and beachfront homes!